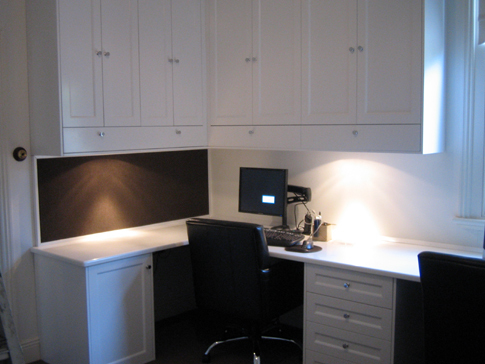 This home office fitout has just about everything you will need all in the one piece. There is a place for books, printer, computer, files and still a huge amount of work space. Add some locks to drawers and doors, a notice board and some furniture lighting and it becomes one of the most practical pieces in your home, as well as looking great.